Pinterest Marketing is on the lips of every small business owner these days. You hear about it, you know you are missing something, but do you REALLY need ANOTHER social network. Besides that, you don’t know how to make money using it and darn it, you aren’t spending any more time friending and liking and what-all without making some scratch on the other end! 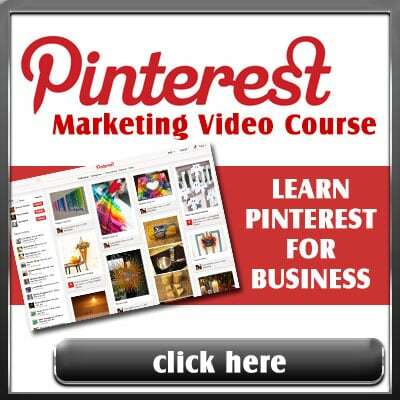 This Pinterest Marketing video training course is designed for the small business owner in mind. It is NOT techy talk but real world marketing information that will make getting your marketing efforts off the ground with Pinterest and get you out WAY ahead of your competition! 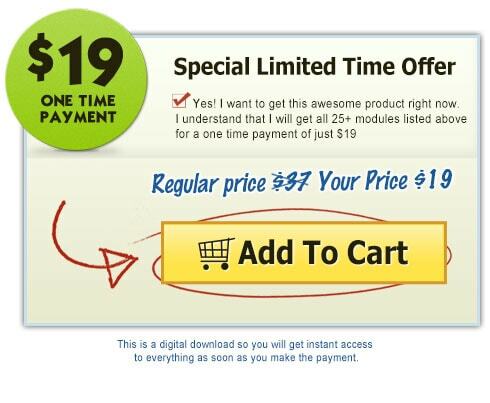 Over 20 videos walking you through what and how to post…even if you don’t have a website…even if you don’t have Photoshop. Please do not buy this if you are trying to figure out how to set up your account. My suggestion is that you go to the YouTube and Google “setting up Pinterest” and you can find LOTS of that kind of information there. This is a medium to advanced strategy guide that will help you get beyond “I have a Pinterest page” and into ACCOMPLISHING SOMETHING! Oh, it is also not pretty. I could have built a huge membership site around it and charged five times as much, BUT that was not appealing to me and hopefully you will appreciate the price…just $19 for all of this Pinterest goodness! As I am always super honest, I assume that when people get in there and ask questions I will be making more videos to answer them…when that happens the price WILL go up and you will get even more great info for the same low price today!!! There is close to three hours of training and over 20 videos all separated out into 5-10 minute segments so you can pop in and get EXACTLY what you need. Should you want to do them in one sitting, it is doable BUT mostly I figure you want to get it, find out what to do and get out! yeah nice…but what does the REAL meat look like…what can you expect to learn…thought it would be fun to show you the surfing through the seasons video to give you an idea of the types of things we address in the course…marketing not hype!!! Just a head’s up, in real life these are BIG files that allow you to go full screen and see LOTS of details! Okay, still not sure…well here is the list of videos you will get…PLUS this is not one of those coming soons where I still have to make them or you get one every couple of weeks, pay and you get access to them all immediately! Pinterest Marketing Even If You Have No Site! Nice to “meet” you Otilia! THANK YOU for letting me know how you got here!